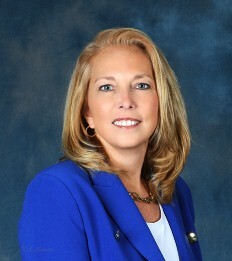 "Shelly Pattison was a wonderful asset in the process of selling our home. She is very knowledgeable of the local market and utilizes online tools that gain maximum exposure. She was professional, accessible, and tuned into our specific needs. We were able to get asking price for our home and much of that can be attributed to Shelly's hard work." "Shelly Pattison is a highly ethical Realtor who is customer-focused and demonstrated a high level of all the following attributes: Local-knowledge, process expertise, responsiveness and negotiation skill. We have recommended her to many others who are selling/buying homes, and we will continue to use her services as needed in the future." "First time home buying was a very stressful experience until my fiancée and I met Shelly Pattison. Shelly is very knowledgeable of real-estate, market values, customer service, and her passion for this industry shows in her every interaction with her home buyers. She puts you, the home buyer above all else until you have found the house you’ve been waiting for. You won’t feel lost in the maze of paperwork or steps needed to be taken in order to have a successful sale. Shelly has a patient quality and realizes how intimidating buying your first home can be. I cannot express enough how relieved I was to have been introduced to Shelly and how up to speed she is in the market of real estate. Her company should be nothing but proud of Mrs. Pattison with her ability to make home buying a truly easy going experience in this day and age. I will never forget the moment when home buying went from dreadfully scared to utterly excited and confident the first day we met Shelly. If you’ve ever doubted the process can be nothing shy of a nightmare, do yourself a favor and set up an appointment with Mrs. Pattison at REMAX Advantage located in Kalamazoo, Michigan. I promise you will not be disappointed." "Shelly was extremely helpful in the sale and purchase of our new home. She is extremely knowledgeable of the market in our area. I would highly recommend her to anyone looking to purchase or sell a home!" Works with you after the sale! "Shelly Pattison took time out of her busy schedule whenever I needed her expertise. She answered all questions, was on time for appointments, and always had possible leads to show me. Even after I bought my home, Shelly always answered my questions and looked for information if I needed it. She even made some phone calls for me. She does not forget you after the sale is complete!" "Shelly helped us to find a home recently. We had used several agents previously but they would never listen to what we wanted. They kept trying to push us into a higher price range that we were comfortable with. The first time we met with Shelly, she asked us a lot of questions and took notes of what we were actually saying. She took the time to go through the available properties and sent us the ones that met our criteria and were in the price range that we were comfortable with. She found us the perfect home. We will definitely use Shelly Pattison again! Thanks Shelly." "Shelly helped us to sell our home during a very stressful time. She kept us aware of what was happening in the market and how that effected our property values. Shelly continuously kept in touch with us through personal phone calls, emails, and texting. Even though we had to come to closing with money, due to the down market, she worked it out so that the closing would happen when we had the money available to us to close. She is a great Realtor and continues to be a great friend." "Shelly Pattison has been a great Realtor to work with and goes above and beyond for her clients. She listens to their needs and is with them every step of the way. Shelly is honest and hard working and gives 110% on everything she does. I highly recommend Shelly to anyone looking for either a Buyer or Seller Agent."